The macro tale of microplastics has expanded to include the world’s salt supplies, with 90 percent of the salt on your table now polluted with plastic. Of 39 salt brands tested, 36 had microplastics in them, according to National Geographic — with the highest quantities of microplastics found in salt sold in Indonesia. 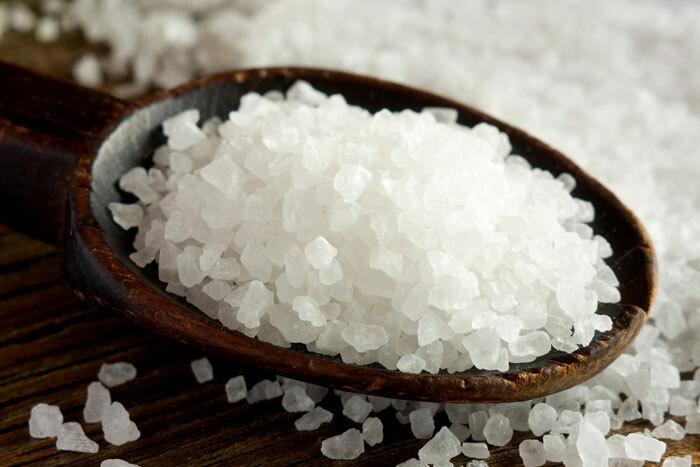 Taiwan’s refined sea salt, China’s refined rock salt and France’s unrefined, solar evaporated sea salt were the three that were microplastic-free. It’s been over 50 years since the word “plastics” became a one-word prognosis for the future in the movie, “The Graduate.” Back then, it was a kind-of Wall Street insider tip, but today the word has evolved into a nightmare for the environment, for ocean life and for our health. Today, you can hardly escape consuming plastics, even if you are conscientious about trying to avoid them. For example, if you’re drinking bottled water thinking you’re avoiding the microplastics coming out of your tap, think again: Tests have revealed that bottled water contains nearly twice as many microplastic particles per liter as tap water. The problem is so widespread and so concerning that the World Health Organization is launching safety reviews to assess the long-term and short-term health risks of consuming microplastics in water. From the ocean standpoint, already, an estimated 150 million tons of plastic contaminate our oceans, with about 8 million tons being added each year. Ontario alone throws away an estimated 12,000 plastic water bottles every four minutes. At the rate we’re going, estimates by the World Economic Forum suggest that by 2050, our oceans will contain more plastic than fish by weight. In the U.S. a 1.6 million square kilometers — nearly 618,000 square miles — area of ocean between Hawaii and California — may contain anywhere from four to 16 times more plastic than estimated by earlier studies. But that’s just plastics overall: Microplastics, which can’t see, are thought to be at least 8 percent of this pollution. Avoid bottled water. Invest in a good water filtration system at home, and then fill and use reusable bottles with your filter water. Reduce your use of all things plastic. Begin by refusing to buy foods packaged in plastic. This not only reduces plastic consumption, but can help your health, as most processed foods are packaged in plastic, foam or thin cardboard, and eliminating processed foods from your diet is great step toward better health. Don’t use disposable plastic dinnerware or eating utensils, and recycle what you do use, whenever you can.